Abstract : 3D transformation widgets are commonly used in many 3D applications operated from mice and keyboards. 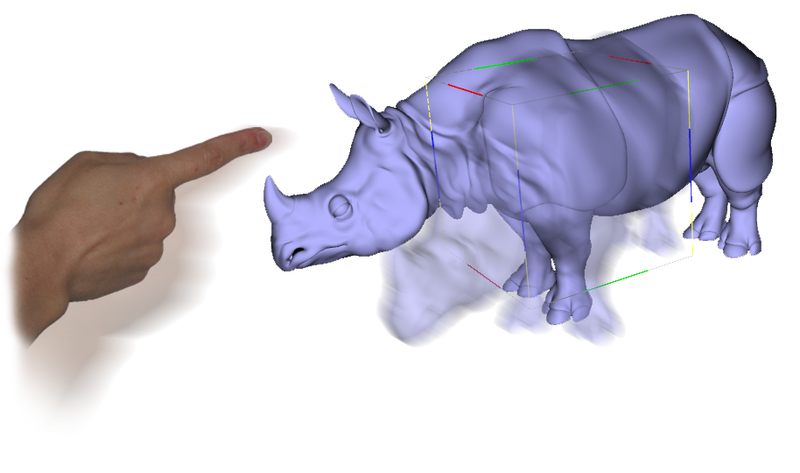 These user interfaces allow independent control of translations, rotations, and scaling for manipulation of 3D objects. In this paper, we study how these widgets can be adapted to the tactile paradigm. We have explored an approach where users apply rotations by means of physically plausible gestures, and we have extended successful 2D tactile principles to the context of 3D interaction. These investigations led to the design of a new 3D transformation widget, tBox, that can been operated easily and efficiently from gestures on touch-screens.